Went off roading with my friend who's got the bright green 1980 CJ7 again. 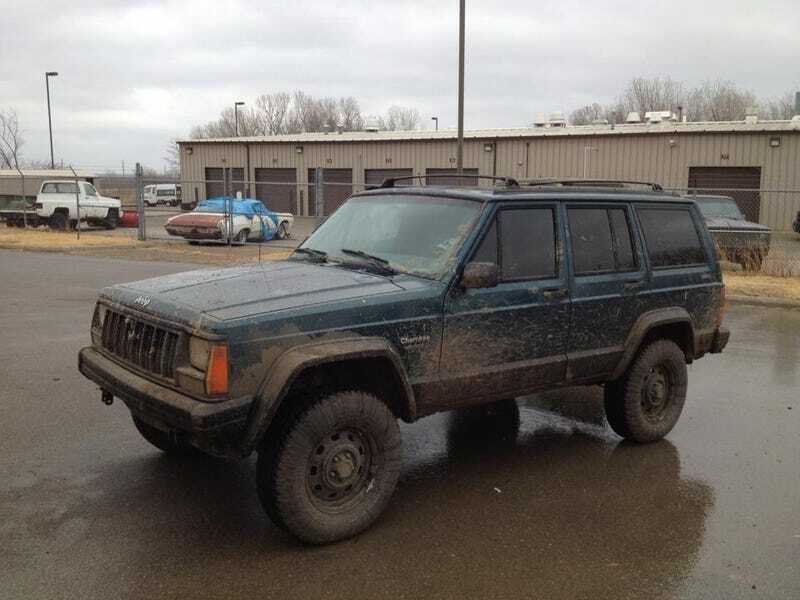 Actually got the XJ dirty today. Hit some pretty good trails today. Still amazed at what a stock Jeep can do. I even lost my muffler! She sounds so much meaner now. But after we washed down the Jeeps and got some lunch at Taco Hell Bell, my Jeep started to lose power. Gauges and radio started to flicker. Engine began to sputter. Jumper cables didn't solve the problem, so it was decided amongst the six of us there that it was my alternator. Probably the original anyway. I'm so glad it died on an actual road and not on the trails. A trip to O'Reilly's for a new battery and alternator it is. Also buying D Rings and a tow hook.